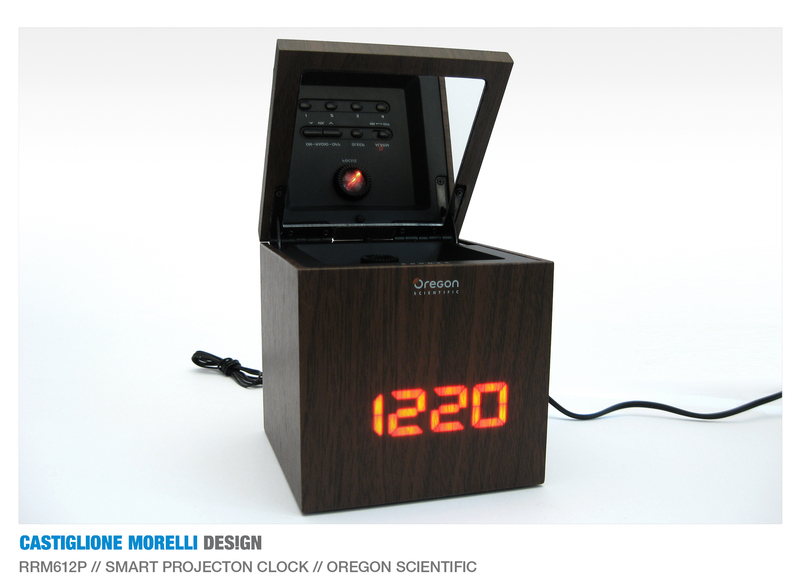 A perfect wooden cube (10x10x10cm) hides a technological heart and display. 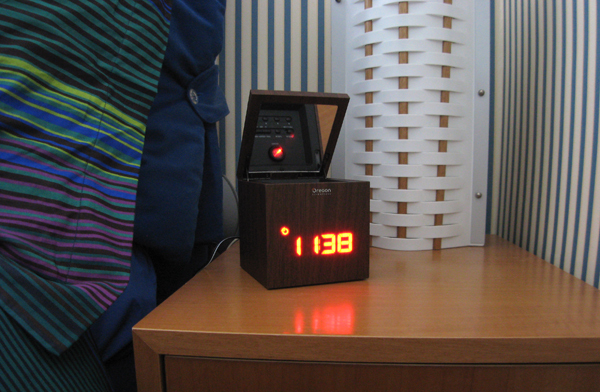 This easy and simple box can magically turns into a FM alarm clock. 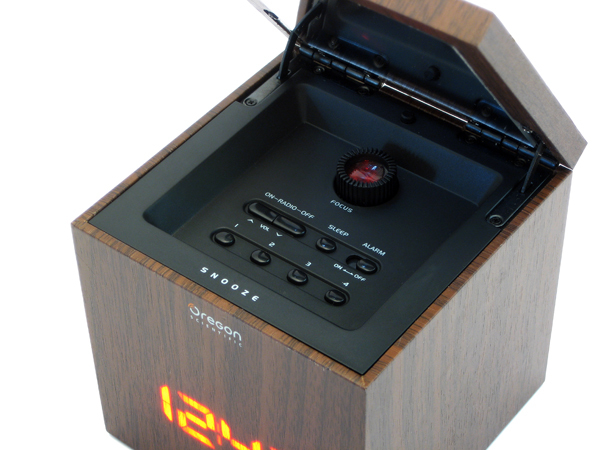 The main control panel is placed under the lid: other functions can be set on the bottom of the cube. 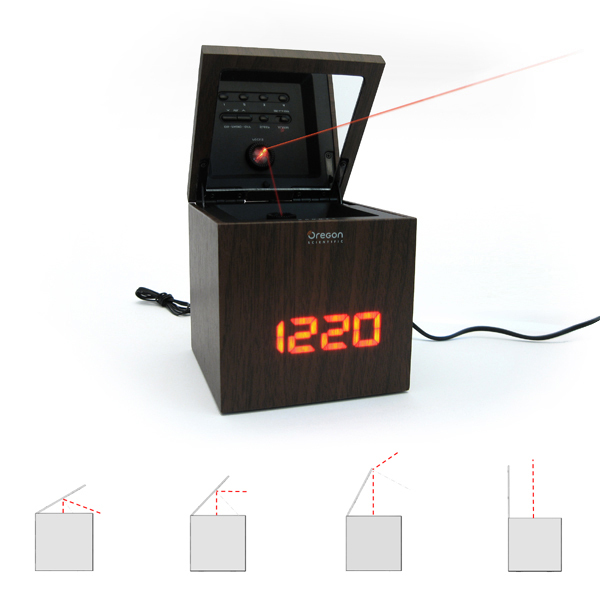 The lid activates the projector: a mirror on its bottom reflects the ray of light beamed by the lens and it projects hours on the wall. 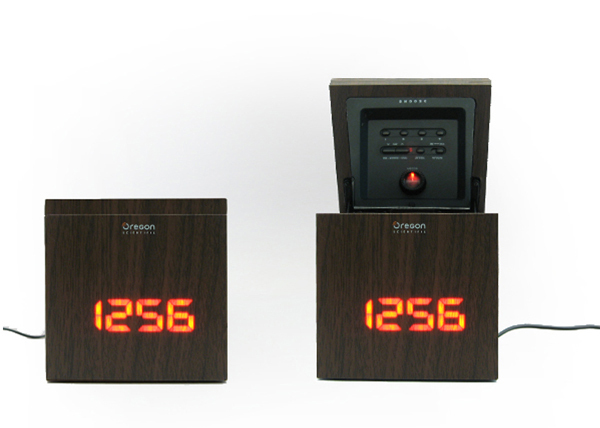 The alarm clock fits perfectly on a bedside table thanks to its compact , easy and clean design.